Haus Hiltl in Zurich is a restaurant that serves exclusive vegetarian fare that is a delight for both vegetarians and non-vegetarians too. Take a wild guess as to where the oldest vegetarian restaurant in the world is located. Well, it is not in India but in Zurich. 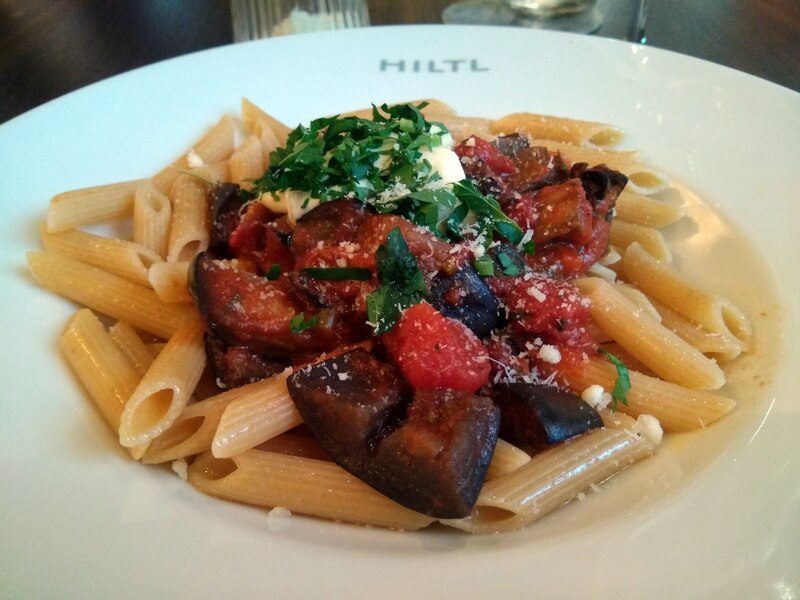 Founded in 1898 by Ambrosius Hiltl, Haus Hiltl has been recognized as the world’s oldest vegetarian restaurant according to Guinness World Records. With a history of 120 years, the restaurant is now run by the fourth generation of the Hiltl family. Interestingly the story behind this iconic restaurant is as fascinating as its food. In 1898 the “Vegetarierheim and Abstinence-Café” opened in Zurich. However back then it was not very successful as the concept of a restaurant that did not serve meat did not really work. In the same year a German tailor named Ambrosius Hiltl had moved to Zurich. In 1901 he fell very sick as he developed a kind of arthritis and the pain in his fingers prevented him from sewing. His doctor predicted an early death if he did not immediately change his diet and completely give up meat. It was then that he discovered that a vegetarian diet could help him and he tried this and discovered that he was cured of his pain completely. He then decided to take over the restaurant and married the cook of the restaurant that was in a way the start of the Hiltl dynasty. The star of the restaurant is of course the food that is cooked fresh every day in the kitchen with complete attention to detail. The focus is on local and regional produce and fresh and ripe fruits and vegetables. Up to 75 percent of the seasonal produce used in the restaurant comes from Switzerland and Central Europe. Gelatin is not used in preparing the food and all wines served are vegan. 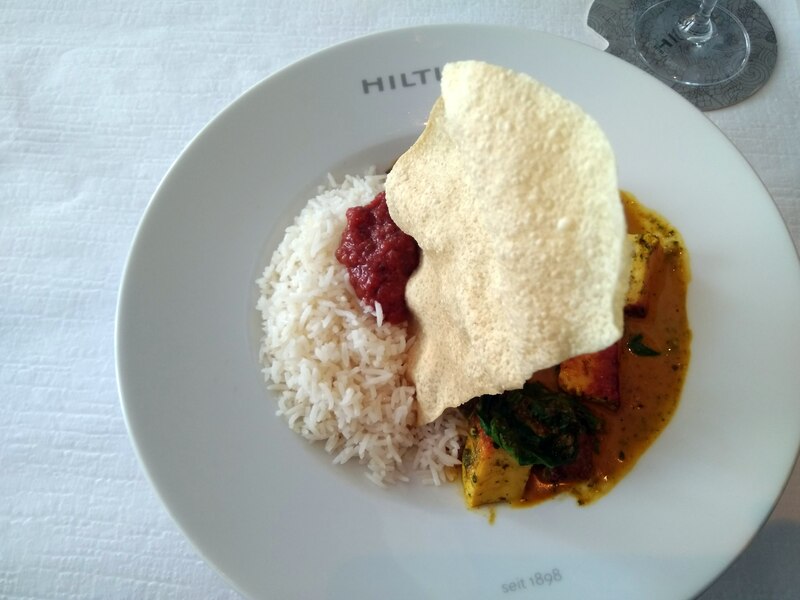 The menu is extensive with a selection of warm starters, cold starters, vegetables and pasta selection, Indian & Asian choices, Hiltl Classics and a Children’s menu too. The Hiltl Classics include some of the most loved dishes in the restaurant’s 120 year old history and includes Country Platter a classic since 1930 that has mixed salads, boiled potatoes, herb quack cheese and more. There is also a Banana Madras that has a Madras curry sauce, mango chutney, cashews and papadam. All the Classics are served optionally with basmati rice and whipped cream or vegan whipped cream. Children will love this place as they can actually paint not just on the ‘Globi’ colouring sheets that the restaurants give them as well as on the glass panels next to the stairway. And very small children can play with toys from the play trolley. In addition there are desserts, pastries made in the in house confectionery, homemade ice cream, Coupes (or coffees) and homemade drinks including juices, lemonades and iced teas, beer, champagne and wine. The menu is so extensive that it is very likely you will be confused as to what to eat so they also have a Hiltl Buffet with over 100 homemade vegetarian and vegan dishes from around the world that includes fresh salads, hot dishes, curries, chutneys and delightful desserts. Interestingly you can opt to buy an ‘All you can eat’ unlimited buffet or just choose what you like and buy food by weight – that is charged per 100 grams! 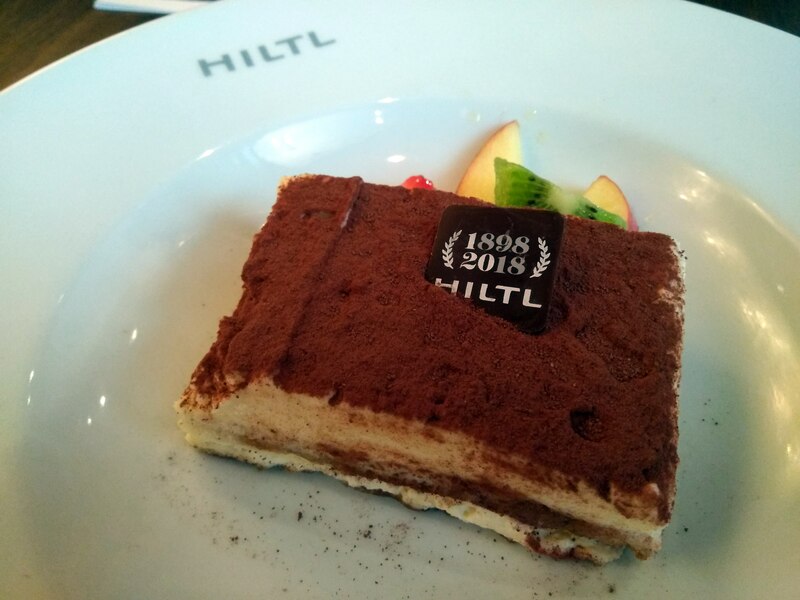 The Hiltl Dessert Buffet can also be bought by weight and includes a wide selection of mousses, crumble, bread & butter pudding, fresh fruits and more. And if you wish to make these dishes at home, the Hiltl Shop next door retails several vegetarian and vegan delicacies. The restaurant is open 365 days of a year from early in the morning until late at night. On Friday, Saturday and Sunday, the place is rearranged and becomes a party space is open as the Hiltl club. On the first floor there is a served à la carte restaurant, the ground floor is for self-service guests and has also a large outdoor area. In fact there are so many seating nooks that each time you are here you are bound to have a superlative experience. So, the next time you are in Zurich, do not miss this iconic eatery it is a must do here – one that will enrich all your senses.